An Open Jump ticket includes access to: Main Court, Dodgeball, Foam Zone, SkySlam, SkyLadder. 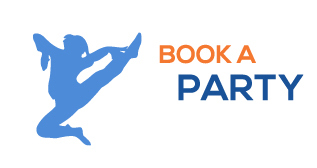 PLUS, check out all 17 of our NEW attractions, including Battle Beam, Parkour Blox, Warrior Course, Wipe Out, Trapeze & Swing, Toddler Zone, Warped Wall, Zip Line, Silks, the Wall, Freeclimb, and Sky Wars. Prices do not include tax or Sky Socks. Sky Socks are $2.99 per pair and are reusable. *Price does not include tax or Sky Socks. All Jumpers need a completed waiver. 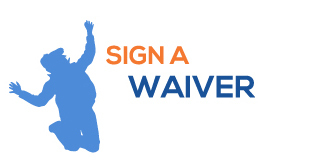 Jumpers under 18 must have a valid waiver completed by their parent or legal guardian. Waivers are generally valid for one year. All sales are final. If you are unable to print your tickets, please record your order number to locate your reservation when you arrive. Jumpers need SkySocks to enter the courts. Passes are redeemable at the park. Please arrive 30 minutes before your jump time. Sky Zone is not responsible for missed jump time due to late arrivals.